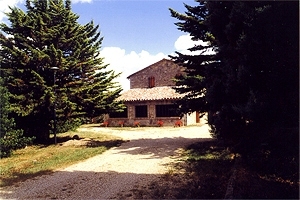 The farmhouse (10+2 beds) is immersed in the forests of Valdichiana and stands in panoramic position at an altitude of 800 metres, not far from the natural park Monte Peglia. 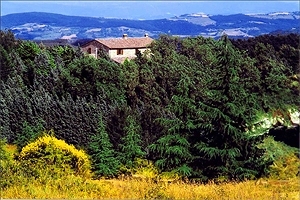 Selva di Meana. 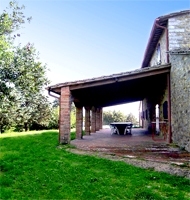 Thanks to its strategic position, this farmhouse is the ideal accommodation not only for those who want to relax walking in contact with nature, but also for those who are looking for cultural holidays. 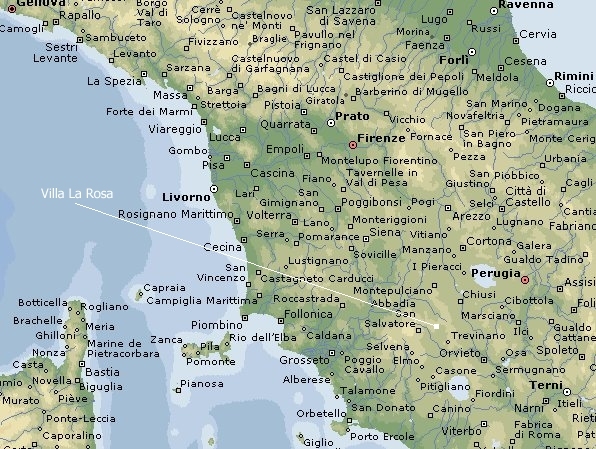 Many important Tuscan, Latian and Umbrian cities of art - such as Todi (25 km), Orvieto (35 km), Spoleto (60 km), Florence (170 km), Arezzo (100 km), Siena (130 km) and Roma (150 km) - are within easy car reach. 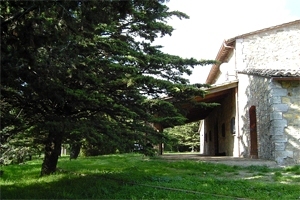 The building is surrounded by a fenced and furnished garden. 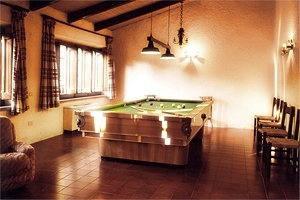 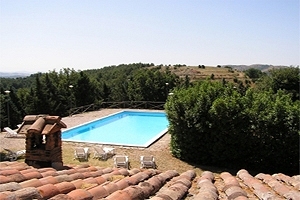 The guests can use the swimming pool from May to September. 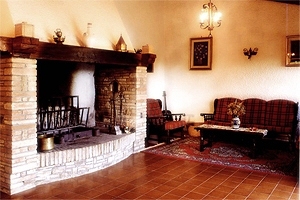 The farmhouse has been renovated and furnished in rustic style and is provided with all comforts (dish washer, washing machine, satellite TV, hi-fi system, independent heating system, hair-dryer, iron and DVD/DviX/MP3 player). 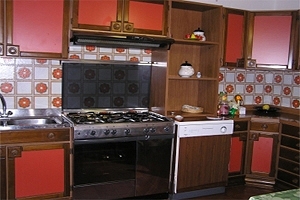 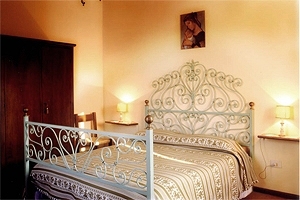 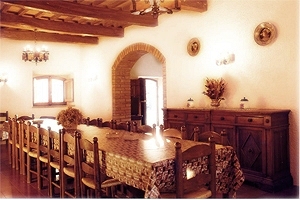 At the guests` disposal: cot, changing table and high chair for children. 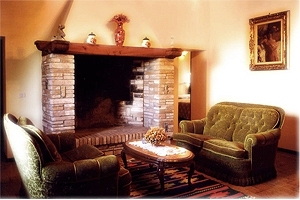 Animals are welcome. 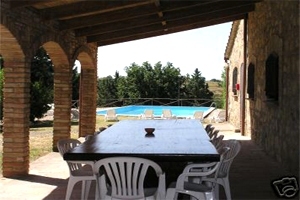 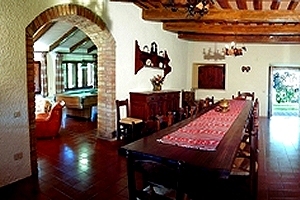 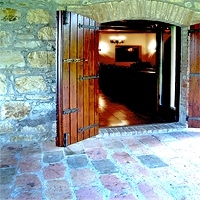 Two-storey 400 m² farmhouse (5 double bedrooms + double sofa bed and 3 bathrooms). 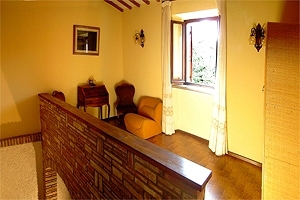 Ground floor: hall, living room with fireplace, billiard room, second living room with fireplace and double sofa bed, dining room opening on the porch, kitchen with oven, microwave oven, 5-zone cooker, fridge and freezer, 1 in-suite double bedroom. 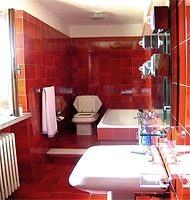 First floor: hallway with fireplace, 2 double bedrooms, 2 twin-bedded rooms and 2 bathrooms with bathtub.